Rochester can be extremely cold in winter. It is not just the temperature but also the wind that makes it very cold. The pictures below can give some idea how freezing cold it is near the lake. These picture were taken in Webster park. Originally this is a simple cable fence but due to splashing water and freezing temperature this is what happends after a while. The picture below shows that the complete pier has been frozen. It almost looks like the northpole and I can tell you i felt like the northpole on this pier. The first meters of the lake are frozen. It has happened before that this lake which is at least 35 miles wide was frozen completely. 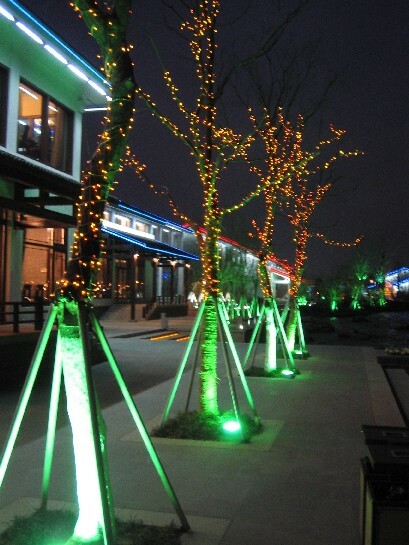 This time Summer selected a new restaurant for the MTG dinner near Jinli lake. 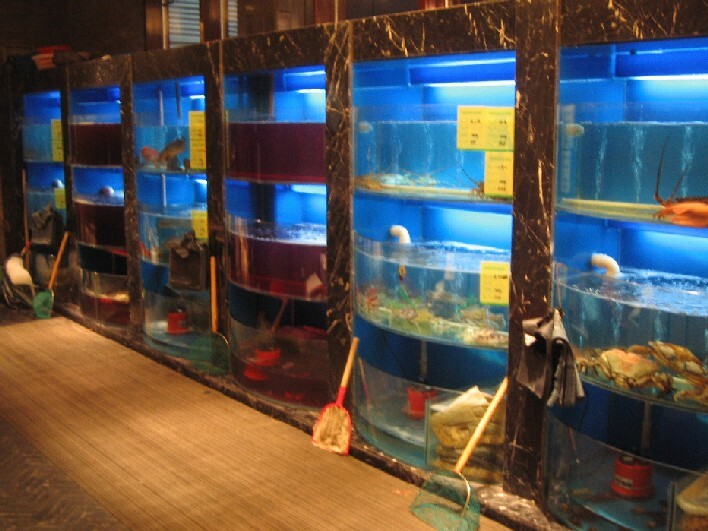 To make sure the food is fresh you could point out which animal (fish or other) you would like to eat and even catch it yourself. Quite a good restaurant and during summer even a better place to visit. All the lights was a little too much but nevertheless quite an interesting view at night. Our new facility in Hefei is already operational but the outside hasn't been finished completely. I was quite impressed about this new large XPS facility and it seems we have a good staff there as well. Well done Xiao Li and Henny. I really loved the XPS dogs. So cute. We have three now and all very playfull. Too bad I couldn't take one home. If I was working in Hefei I would have had at least one in my office. 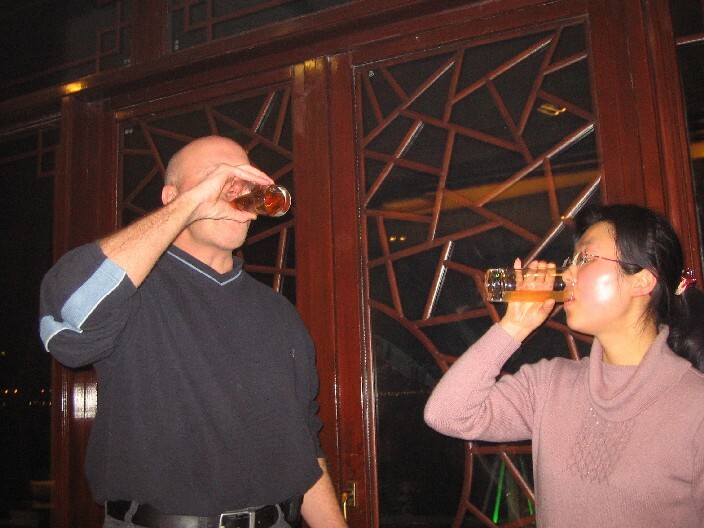 During my one day stay in Hefei I trained our staff using quality techniques/methods. I am always amazed by the fact they can read this kind of hand writing. I can recognize some printed characters but hand writing is absolutely impossible to read. After my trip to China Suzanne and I spend a weekend in Amsterdam. We had to be in Amsterdam on monday because we had scheduled an interview at the US consulate. This was the last step for getting our US visa. Security was very very tough (we almost had to strip completely :-)) but the actual interview took only a few minutes. Due to the fact that I had worked for Xerox for 10 years and already got 2 US visa's in the past we were approved very fast. Some other people that were having an interview before us were rejected. The visa application process was a very long process and took a lot of paperwork and formal documents. It is extremely difficult nowadays to get a US visa. Without our laywer it would have been almost impossible. Amsterdam is still one of our favorite places in Holland. The pictures below might give you an idea why. In the background you can see the famous Rijksmuseum. Typical dutch houses. As you can see not completely straight and very narrow. In the center of Amsterdam but a very quiet living area. Not easy to find. We would be quite good tourguides by now. Amsterdam is also unique because of all the unique and funny people and situations. This is a fence in Vondelpark that is being used to collect all lost items. Mainly gloves but also keys. This is what happens if you park your bike in the wrong location. Not so much different from China actually. Amsterdam riksha. The modern version of what you find on each corner in Suzhou. The rates will be very different.